We've been helping students like you build foreign language fluency for more than 100 years. Are you seeking an advanced degree? Which year would you like to attend? Students pledge to communicate only in their language of study throughout the program, resulting in the rapid acquisition of linguistic and cultural fluency. Speak, live, and even dream in your chosen language and culture from morning to night in an environment that constantly reinforces your new language skills. 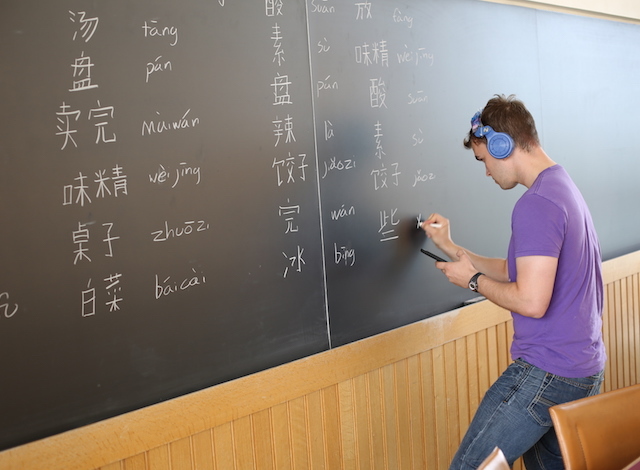 Middlebury Language Schools have offered intensive language programs for students from beginner to advanced levels for more than 100 years.